Okay, okay, I realize this site is to showcase 45's and the love of 45's. 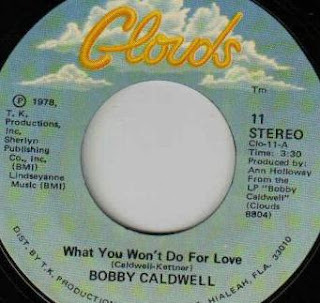 But what better 45 to showcase than Bobby Caldwell's "What You Won't Do For Love?" Only I'm not going to show the 45 playing, but the video of Bobby singing this live at Jazz Alley recently. I've seen him and his amazing band several times and I never tire of hearing him perform one of my most favorite songs of all time. . . and yours. . . I know it!!! 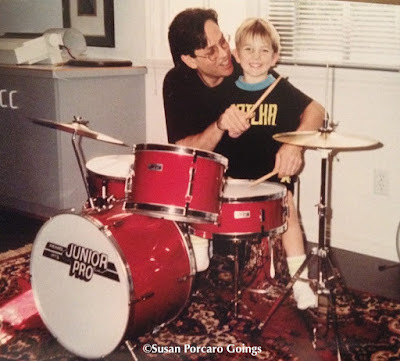 Before he sings, he always asks the audience to think back at where they were when they heard this song. Well I'll tell you, Bobby. 1979. . . I was in Palm Springs. . . a senior at Palm Springs High. . . a LOUSY student and a HOPELESS romantic. This song did not help in stirring those feelings of love and infatuation. . . for who? I don't know. THIS I do know. . . I am not alone in this . . . Do I hear a "Yes, Yes?" I also remember hearing it being played at a school dance, dj'd by a guy named Kip, who had the 12inch long play. My favorite song available on a 12inch. Come to think of it, I need to go and search for that on ebay. So that's where I was, Bobby. Thanks for puttin' on a great show. I cannot wait to see that Big Band sound next year! Wow! A blog dedicated to 45's! What a great idea! I still play mine and have recently gone back to start collecting them! And I'd love to have a copy of the Bobby Caldwell single on the Clouds label. 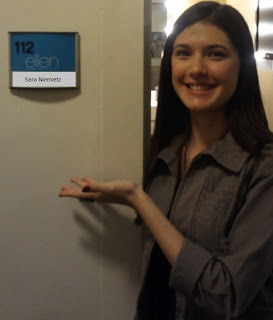 How cool is that?! Yeah Mark, whatever DID happen to good ol'email? If I find a copy, do you want it?